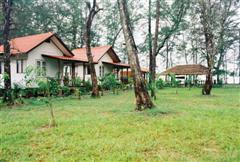 The resort consists of nine independent bungalows, providing either double or twin beds and an ensuite bathroom. Each room is tastefully decorated in a traditional Thai style with a spacious balcony outside. Air con or fan is available. Rooms are advertised as double. However depending on availability twin may be given. 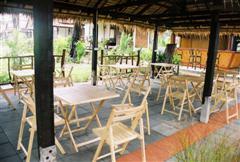 The resort is located right on the beach and as such provides an excellent base from which to explore the bay. Take a day tour on our long tail boat and take in some of the islands, including beautiful Poda island or Hong Island. Snorkelling and scuba diving are popular activities and there are a number of dive schools located in the area. On land you can rock climb limestone cliffs at nearby Railay beach, go elephant trekking, see a snake show or check out giant catfish. 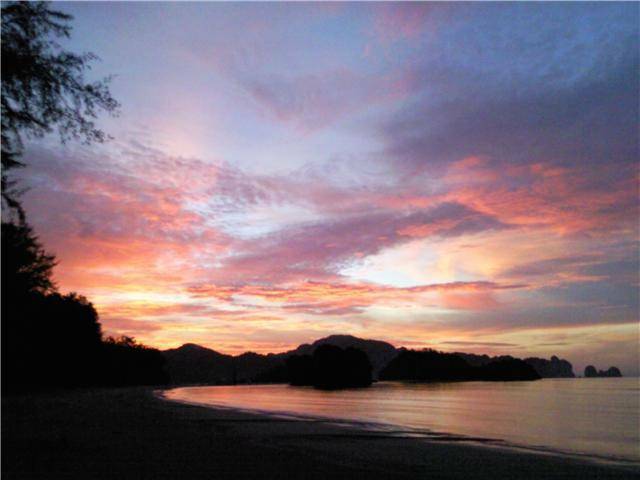 Nearby Aonang offers western food and nightlife should you require it. 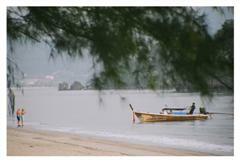 Please be arawre that you will need to organise a boat or taxi beforehand should you wish to go to Aonang at night. All rates are per ROOM based on 2 person occupancy. Guest to pay balance upon arrival. Cancellations require 72 hours prior notice, otherwise one night will be charged. Directions: Please Read Here first!! We'll be there in 15 mins to pick up you. 2. Airport transfer costs 700 Bath for one way trip. Please confirm your flight schedule and time arrival at the airport before visiting. 3. If you are in Krabi Town, you can take a white mini-bus for 50 Bath per person and tell the driver to get off at Nopparattara National park and then call us at the given number. 5. Due to a remote and private beach, the public electricity is not available in our area. But, we do have electrical generators provided to facilitate our welcoming customers. The electrical service will be provided from 06. 00 p. m.-06. 00 a. m. daily. 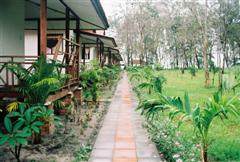 We also have other services available including internet, foods, local activities, sight seeing and adventure tour.